Need Help? Click to Chat. The Boat for Summer Sales Event is going on now. Get a $300 gift card, $100 in gear and a snapless mooring boat cover—FREE!—with your purchase of a new 2019 or prior model year BASS BUGGY® 16 DLX. Hurry! This offer is only available for a limited time. See dealer for details. 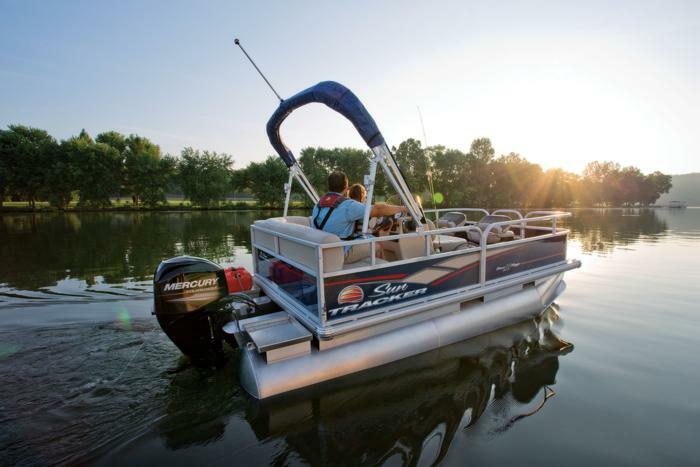 Families who love to fish will find plenty to love about the SUN TRACKER® BASS BUGGY® 16 DLX pontoon boat. 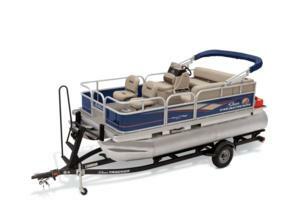 At a nimble 16’ overall, this boat is extremely easy to tow behind smaller vehicles, but it still provides all the features and comforts you need for a full day on the water, including a bow fishing deck, complete with two chairs and a plugin for the optional trolling motor, as well as an aerated livewell. And it still offers enough storage under the L-lounge for the gear you need for a day of fishing with the family.